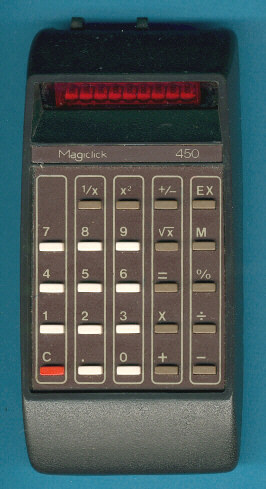 You feel familiar with this Magiclick 450 manufactured in Argentina? No doubt, this beauty is a close relative to some Corvus calculator like the Model 310 or 320. The two pictures on the right give you a side-by-side impression of the Magiclick 450 with a Corvus 322 and demonstrate the identical battery covers of them.